This French brasserie in Tornado Tower has it all… sensational food, attentive service and a commanding view of West Bay. The business crowd from the building heightens the restaurant’s cosmopolitan feel. 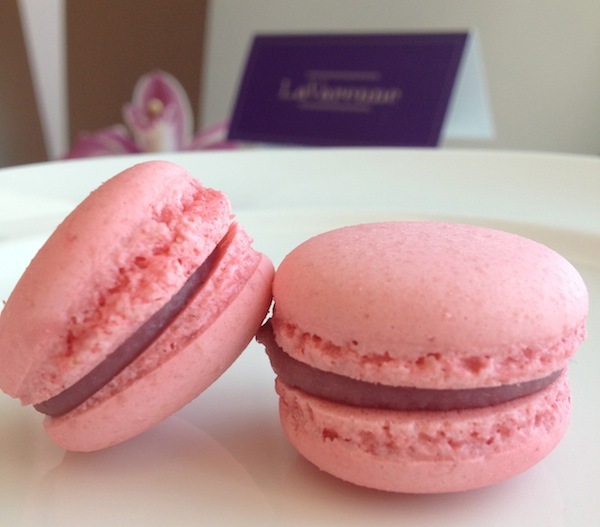 And it doesn’t hurt that the raspberry macaron and daily rotation of homemade ice creams/sorbets are among Doha’s finest. At edge of the Museum of Islamic Art Park sits a charming café with gourmet sandwiches and salads. Greenery, the water, and all of West Bay splayed before you. I settle into the artsy outdoor furniture with a book, and the space transforms. 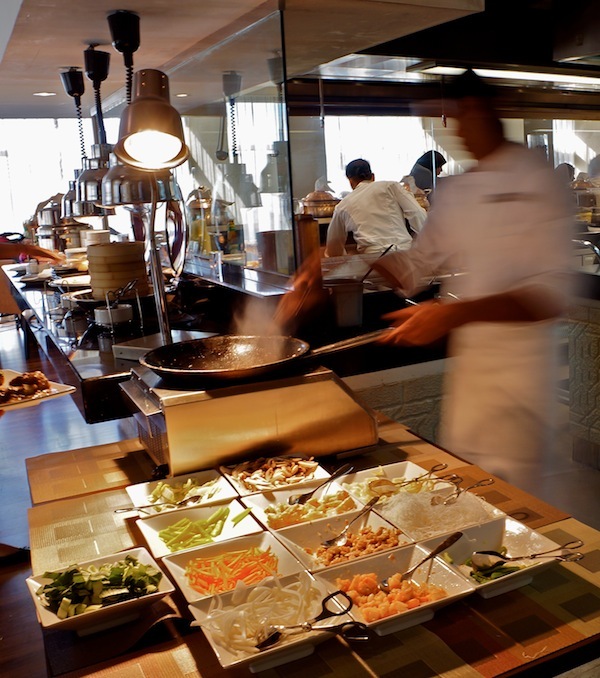 The dining room for the Ritz-Carlton all-day buffet is expansive yet welcoming. There are live cooking stations for pasta and grills as well as a dessert spread that is paradise for kids of any age. On Saturdays, the outdoor garden becomes a sprawling playground with bouncy castles and the like. You’ll find exactly two tables and five chairs inside this hut at the Mega-Mart parking lot. Not exactly made for a dine-in experience (you leave smelling of peanut oil and pad thai), it is nevertheless ideal for a take-away meal of green curry and pad see ew fried rice noodles that’s bursting with yummy. 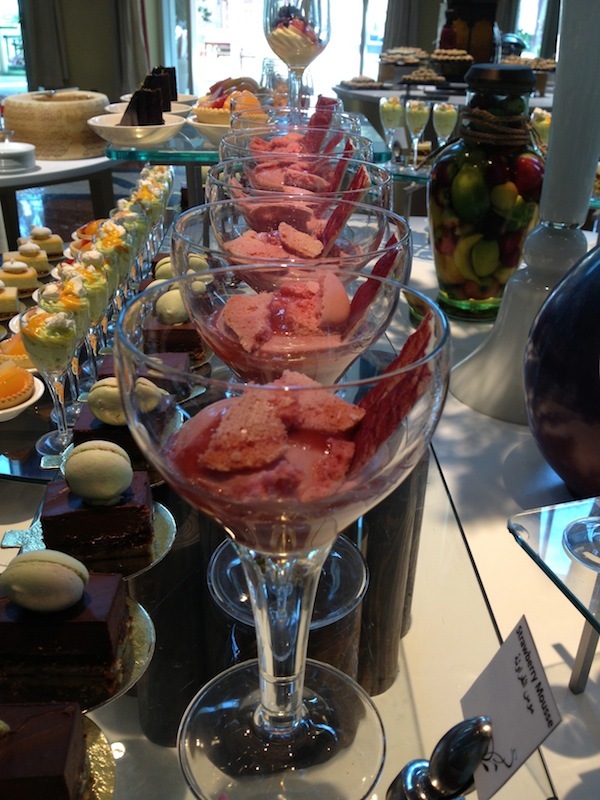 The lunch concept is a semi-buffet of unlimited appetisers and desserts with a main course from the changing daily menu. The salad bar is the clear standout, where one may find anything from crisp endives and radicchio to grilled vegetables. No Doha experience is complete without a trip to TC. 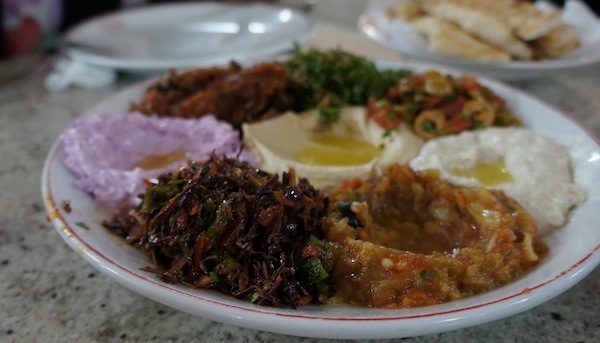 The mezze platter served with freshly baked Turkish bread is obligatory. Choose from more than a dozen varieties of dips, but make sure to include their baba ghanoush, purple cabbage labneh and moussaka. The grills are equally excellent, especially the lamb chops and boneless chicken. Indonesian cuisine is not for the faint-hearted, and Jakarta restaurant on Ibn Mahmoud Street certainly has an affinity for hot peppers. 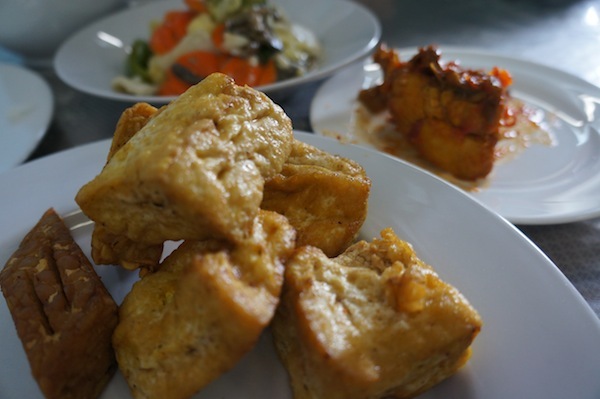 The food here is Padang-style, in which meat dishes, vegetables and curries are pre-cooked and accompanied by rice. Ask the kitchen for ayam penyet, which translates to steamrolled chicken. The bird is basically marinated, spatchcocked then deep-fried and oh so delicious. 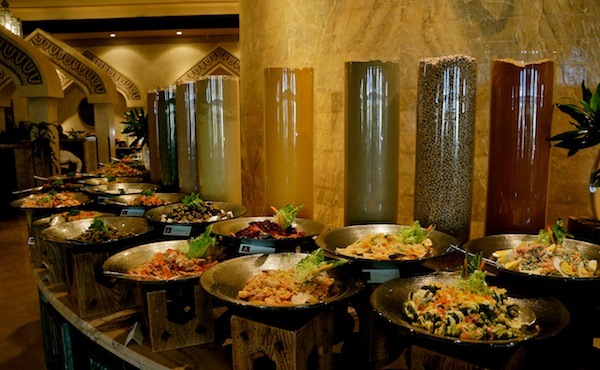 The Sharq Village & Spa knows how to put up one unforgettable Arabic buffet. More than 20 tantalising mezzes and meats grilled to order make for one glorious meal that will last the whole day. I come here to splurge calorically. There are just no two ways about it — Market at the W Hotel is Doha’s benchmark for stylish dining. And the food never fails to impress. I’m particularly sushi mad here. But it’s often hard to concentrate on the ala carte menu when the lunch express equally impresses at a fraction of the price. 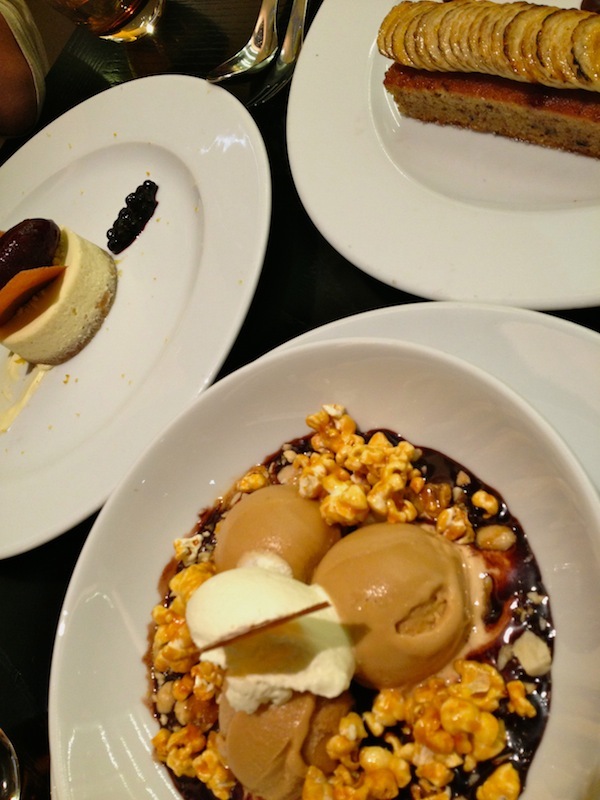 This entry was posted in Reviews and tagged dining, doha, eating, gourmet, lunch, qatar, restaurants.